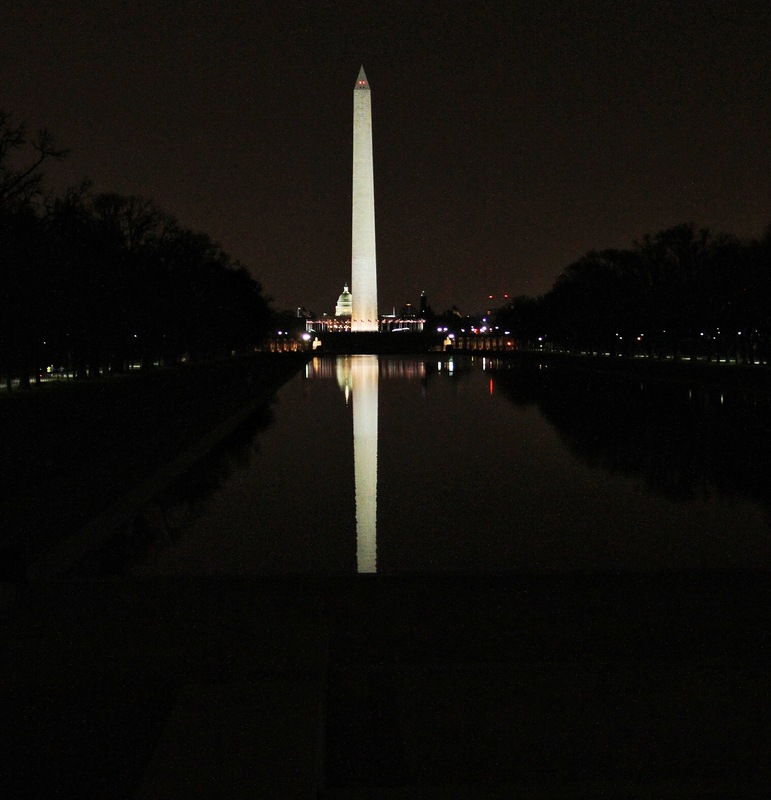 Last week Kongo visited the National Mall in Washington, DC and took these pictures of the Washington Monument, aka “The Stick” at night. A couple of lifetimes ago when Kongo worked at the Pentagon he used to do a run that left the Pentagon, went along the George Washington Parkway, over the Memorial Bridge, and up the Mall to go around the “stick” then back to the Pentagon. About 7 miles all told. 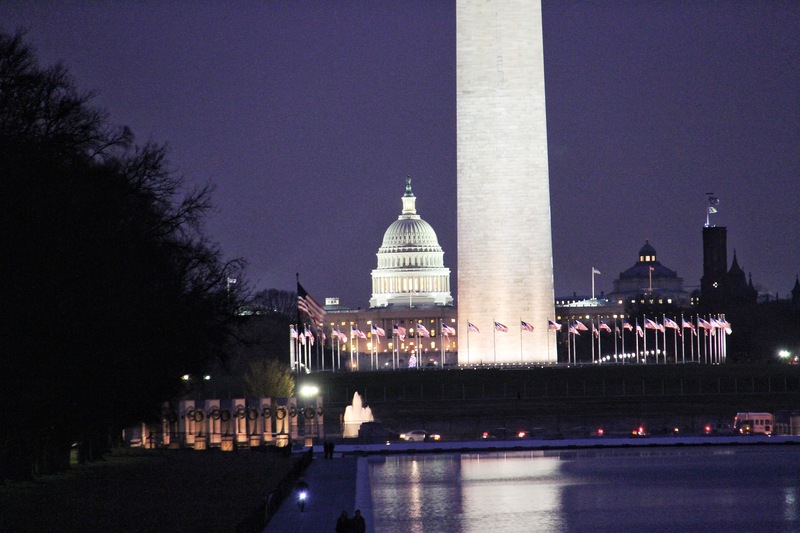 All the monuments at night are beautiful, mostly empty, and inspiring. These photos were taken from the Lincoln Memorial. The reflections of the monument are shown in the aptly named Reflecting Pool.